A compact lens kit for pro-level smartphone photos. 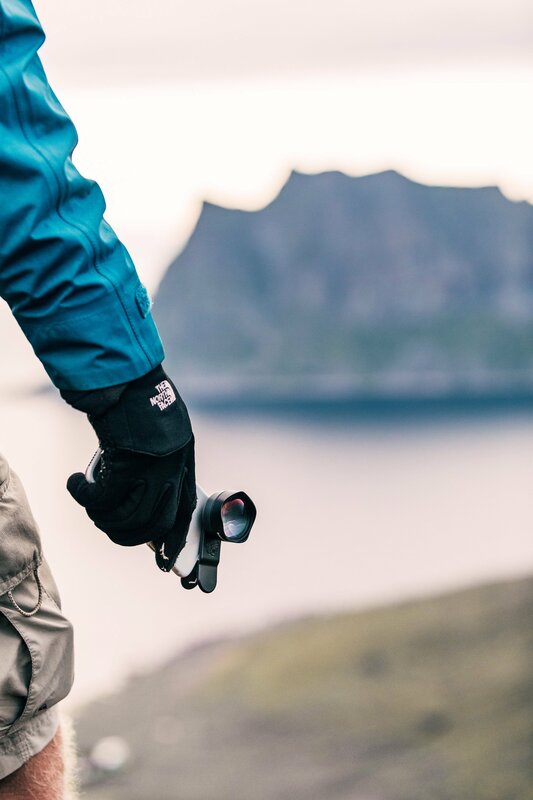 Founded by professional snowboarder Eero Ettala and professional photographer Arto Ekman, with pro snowboarder Fredu Sirviö also joining the team later, Black Eye aims to provide the best accessories for creative mobile photography. The brand’s Black Eye Pro Kit G4 offers a one-kit solution for adventurers who want to capture amazing images while traveling. 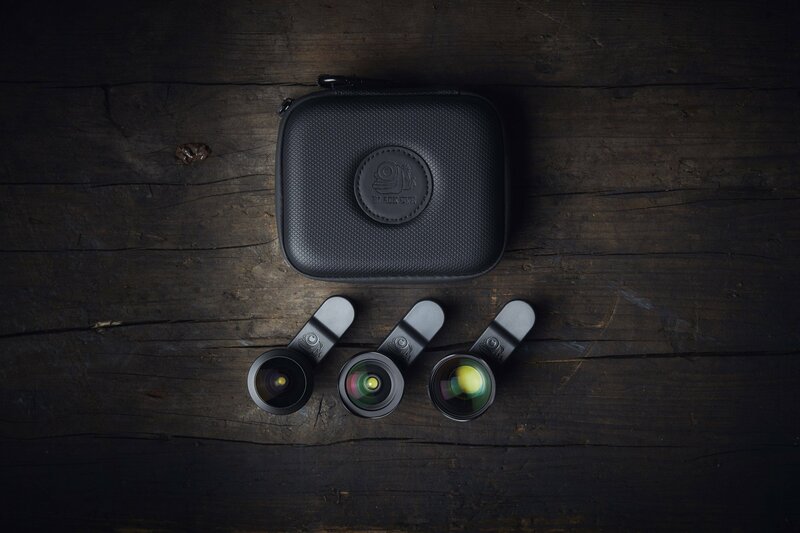 Lightweight and compact, the smartphone camera lens kit provides a convenient alternative to bulky equipment. 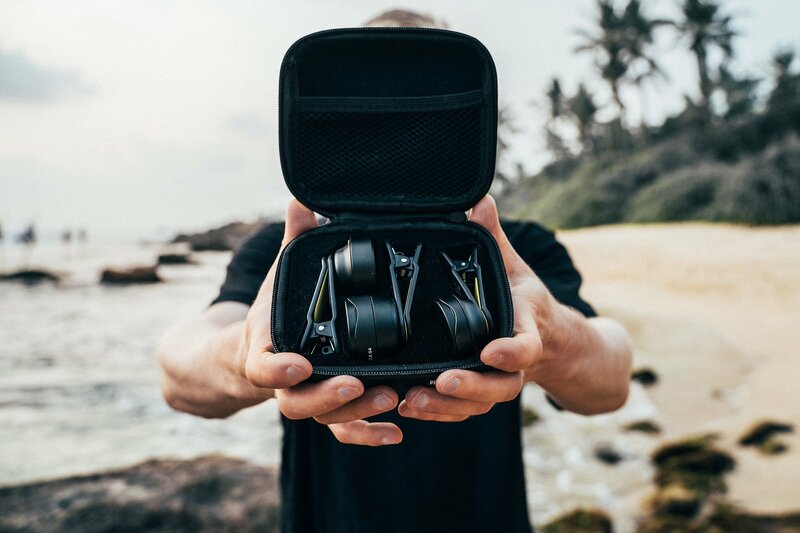 Designed with photographers, videographers, and storytellers in mind, the kit features three smartphone lenses that cover all the bases. The kit comes with the Universal clipping system, which means that these lenses work with most mobile devices. The Black Eye Pro G4 smartphone camera lens kit features the Pro Portrait Tele G4 and the Pro Fisheye G4, as well as the Pro Cinema Wide G4. The Pro Cinema Wide G4 lens offers an amazing 120-degree angle of view without distortion. 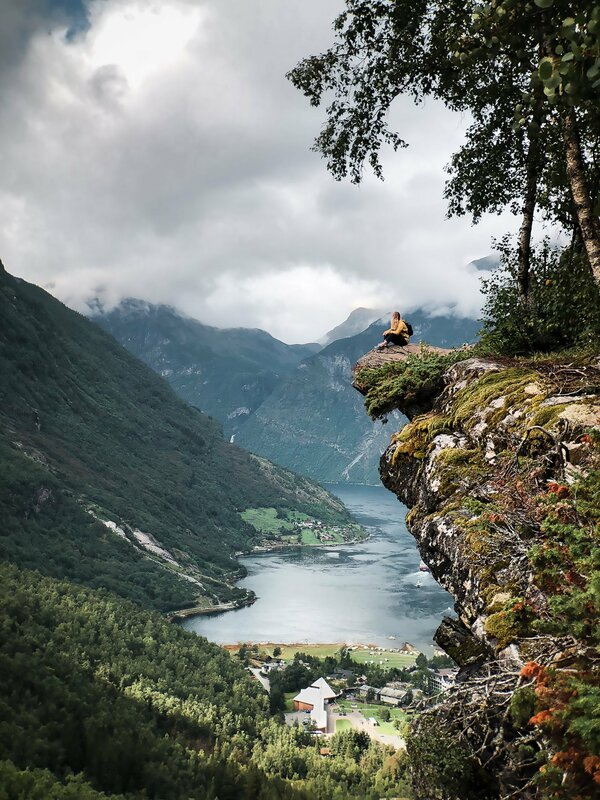 It’s perfect for travel photos, landscape photography, urban architecture, and selfies. For great portraits, the Pro Portrait Tele G4, gets 2.5x optically closer to subjects with a 40-degree angle of view. Finally, the high-quality 175-degree Pro Fisheye G4 is a versatile lens that is ideal for action sports, architecture, and landscapes, and any other occasion where you want to fit more stuff – or people – into the frame. All of these lenses offer excellent image quality with great flare protection and less vignetting. Available on the Black Eye website, the Black Eye Pro Kit G4 costs $249. An optional tripod with a filming handle is also available at $79.99. If you want to see how the kit can transform your smartphone into a pro-level camera, check out @blackeyelens. Photographs© Black Eye.